Every car accident in Tennessee is different. Every set of damages, injuries, and losses are unique. While most auto accidents in Tennessee are caused involuntarily by mere negligence and momentary lack of attention, some accidents are caused by seriously needless and reckless behavior, such as high speed reckless driving, drunk driving, or “driving under the influence.” Such reckless behavior is not only negligent, but may entitle the victim to punitive or special damages in addition to his or her actual damages. If you have been hurt in an auto accident, please contact our attorneys today. We offer free initial consultations and work on a contingent fee basis, which means that there is never a fee unless we successfully settle your case. In a claim arising from a drunk driving collision, in addition to the intoxicated driver being held responsible for the injuries he or she caused, a bar may be liable for damages if they served an obviously intoxicated person, who then drove and caused an accident. The fact that the individual who served the drunk driver alcohol may be held liable does not relieve the drunk driver of responsibility, however. Experienced personal injury attorneys are aware of the many laws governing legal responsibility and can help you identify who might be held accountable for your injuries, including individuals or businesses you may not have considered. As with other types of collisions, figuring out who is at fault in a traffic accident is a matter of deciding who was careless. In many cases, your instincts will tell you that a driver, cyclist or pedestrian acted recklessly, but not what rule or rules that person violated. Fault issues can be complicated, and a skilled attorney will look to a number of sources, such as police reports, state traffic laws, and witnesses, to help you uncover who was at fault for your accident. A driver may also be held accountable for an accident due to his or her intentional or reckless conduct. A driver who is careless is one who drives unsafely, with “willful and wanton disregard” for the rights and safety of others. A driver could be found reckless, for example, if he or she drives in an aggressive or harassing manner out of “road rage” and causes an accident. Statistics gathered in 1997 by NHTSA and the American Automobile Association showed that almost 13,000 people had been injured or killed since 1990 in accidents caused by aggressive driving. According to a NHTSA survey, more than 60 percent of drivers consider unsafe driving by others, including speeding, a serious personal threat to themselves and their families. About 30 percent of people said they felt their safety was threatened in the last month, while 67 percent felt this threat during the last year. Every 30 minutes, someone in this country dies in an alcohol-related accident. Last year alone, over one million people were wounded in alcohol-related collisions. In some cases, accidents are caused by factors unrelated to the behavior of any particular driver. For example, an automobile accident may occur due to a defect in one’s car. In such a case, an automobile manufacturer or supplier may be held accountable for injuries caused by a defect in the automobile under the law of product liability. A product liability suit is a lawsuit brought against the seller of a product for selling a defective product that caused physical injury to a consumer or user. If a manufacturer of a product creates a defective product-either in designing, manufacturing, or labeling the product-the manufacturer is responsible for any injuries the product causes, regardless of whether the manufacturer was negligent. Another example of a situation where a driver may not be held accountable for an accident is where a mechanic fails to properly repair a vehicle, and the failure causes an accident. In such a case, the person who improperly repaired the car, and his employer, may be responsible for the injuries sustained under the theory of negligence. Other factors, such as poorly kept roads and malfunctioning traffic control signals can contribute to cause an accident as well. Improper design, maintenance, construction, signage, lighting or other highway defects, including poorly placed trees and utility poles, can also cause serious accidents. In cases like this, government entities may be potential defendants. Special rules apply to claims and lawsuits brought against governmental bodies, however. Good legal guidance is critical to preserving and winning such claims. In all of the above cases, it is critical that accident victims take prompt measures to preserve evidence, investigate the accident in question, and have physicians or other expert witnesses thoroughly evaluate any injuries. If you have been a victim of an automobile accident, do not hesitate to call upon personal injury attorneys who are knowledgeable and experienced in motor vehicle accident cases to review your situation and determine the best way for you to obtain any compensation available for the damages you suffered. 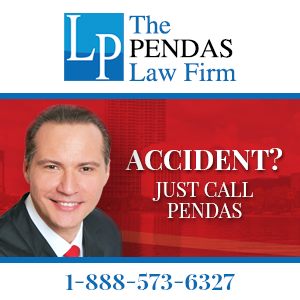 If you have been injured in an auto accident, please contact our attorney today. We offer free initial consultations and work on a contingent fee basis, which means that there is never a fee unless we successfully settle your case.